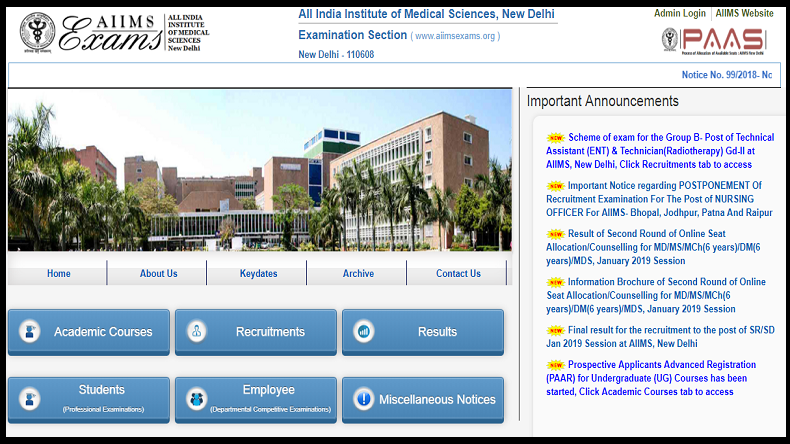 AIIMS Jodhpur admits card: All India Institute of Medical Studies (AIIMS) Jodhpur has released its admit cards for the posts of Lower Division clerk, upper division, clerk and data entry operators on their official website at aiimsjodhpur.edu.in. The recruitment drive is being conducted for 37 vacant posts. Applicants have to give written examination followed by a skill test to recruit candidates for the jobs. The written exam will be a multiple choice question-based examination. For each question0.25 marks for each wrong answer. Applicants will be given a total of three hours to solve the 200 marks question paper. The total duration of 3 hours and 50 marks each. Step 5: Take a print out of admit card for future references.